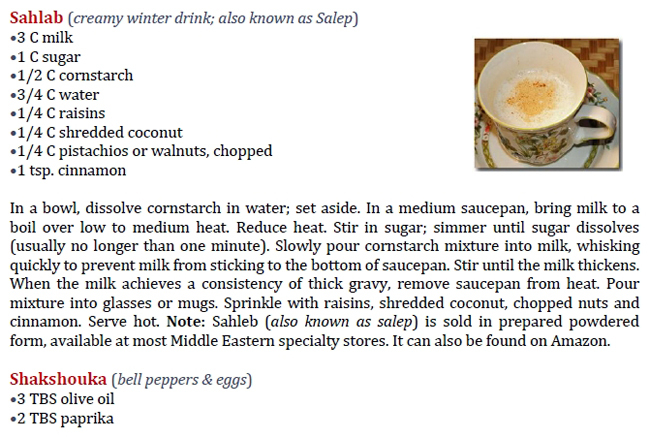 To take a look inside Arabic Cookery, select from the screenshots below. Click on images to view their larger sizes in a new window. 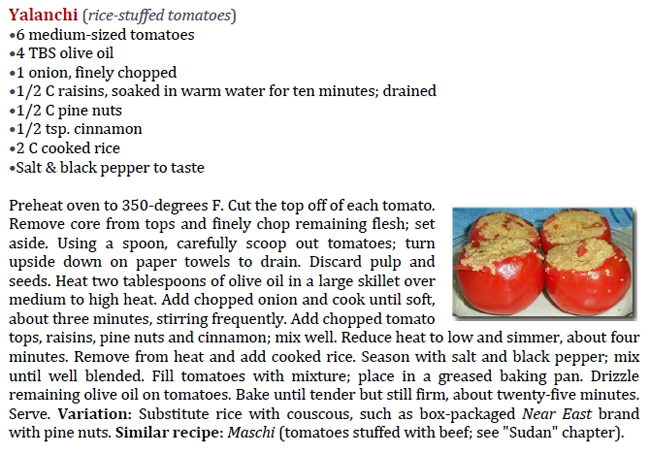 Please note: Images and specific layout only available in the PDF version of Arabic Cookery. 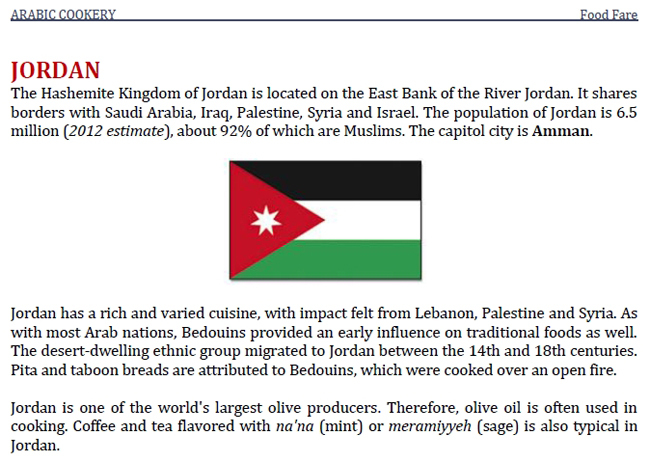 More than one hundred food images and nation flags are available in the Adobe Digital edition of Arabic Cookery. 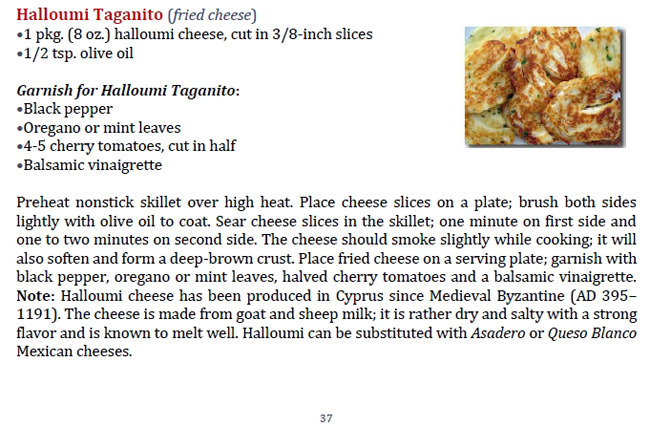 Because of time-consuming and costly formatting issues, food images or nation flags are not displayed in Kindle or Nook editions of the e-book. 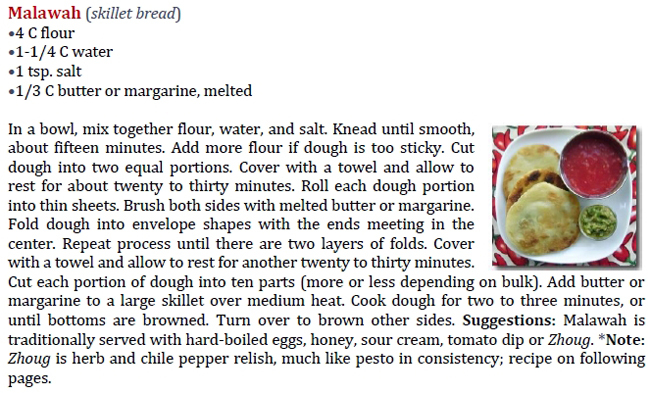 Length: 187 pages (PDF format only). 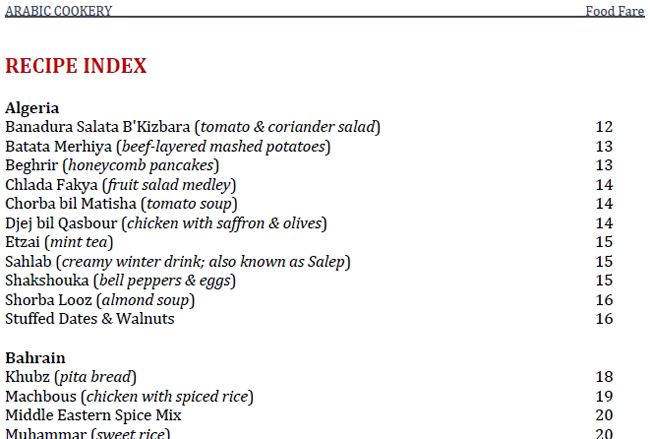 Table of contents, recipe index and graphics included. 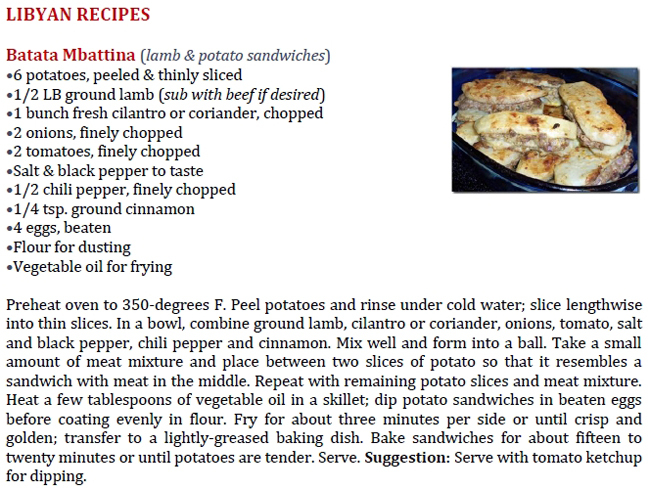 Once at PayPal, you will be prompted to set up your own free account in order to transfer funds to Food Fare. When the transaction is complete, the article will be sent to the purchaser in PDF (Adobe Acrobat) format as an e-mail attachment within forty-eight hours. In order to open and read the article, the purchaser must have a copy of the Adobe Acrobat Reader installed on their computer. The reader program is free. 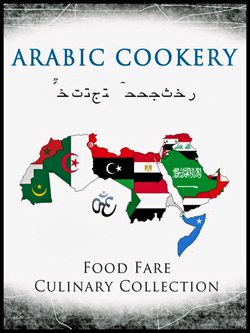 To order the Kindle or Nook edition of Arabic Cookery for $2.25, click here. 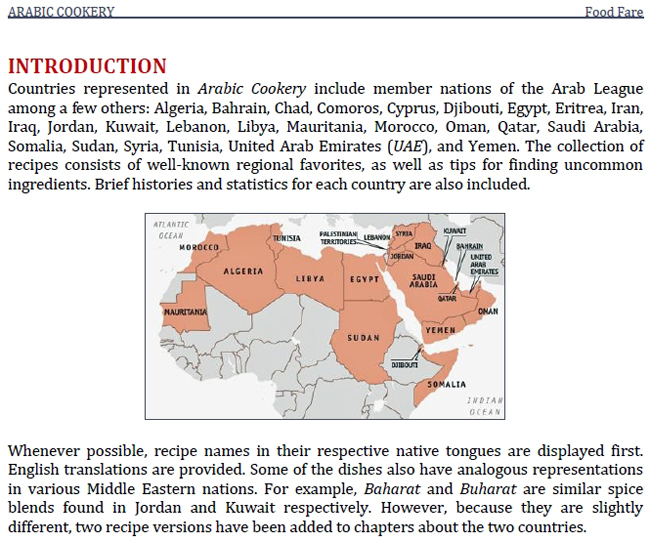 The Kindle and Nook editions of Arabic Cookery do not contain food images or other related graphics, aside from the book cover.